I had an unexpected guest this summer. During a season of many questions and uncertainties, this guest has had a silent and yet consoling presence. Time spent during visits would invariably leave me renewed and touched by something unexplainable. 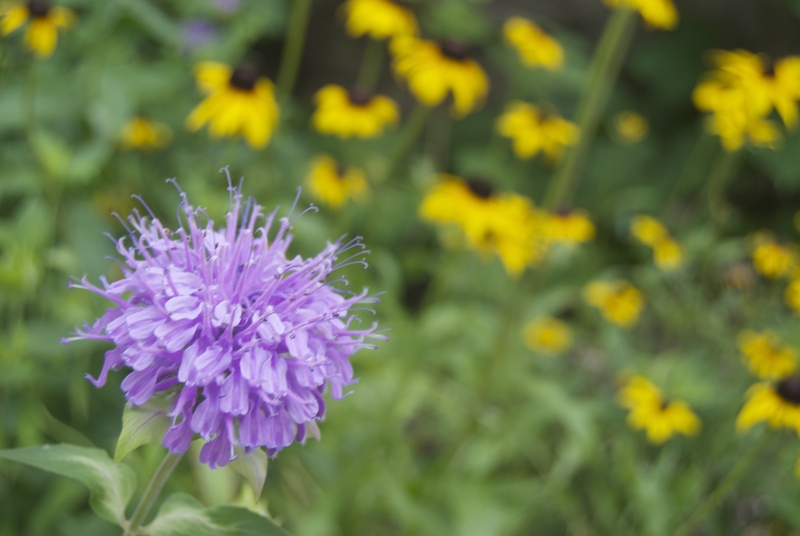 I wasn’t expecting the experience of my prairie flower garden to be anything special, since I had seen it through several seasons already. It took a good deal of patience to wait for the blooms after the pruning and weeding was done. 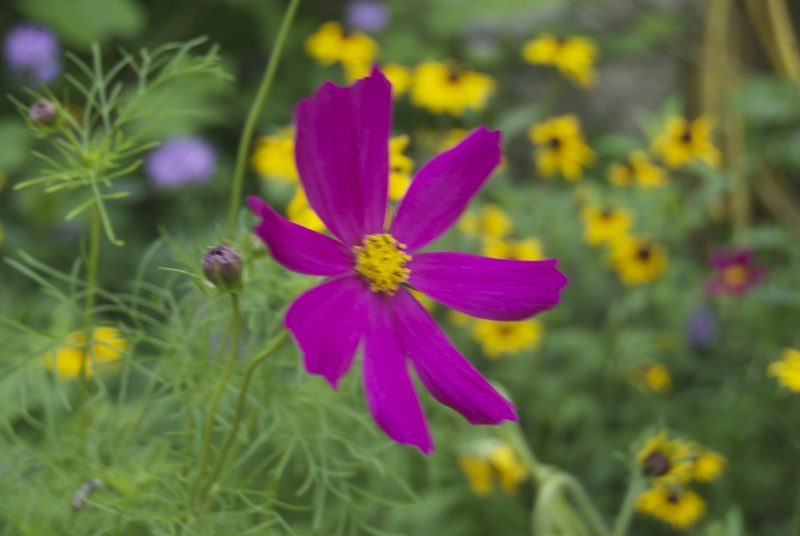 In early July, when most gardens were bursting with color, my garden was still green with buds. Maybe it was all that waiting during a desert-like time in my life that made it seem like such a gift when it finally blossomed. 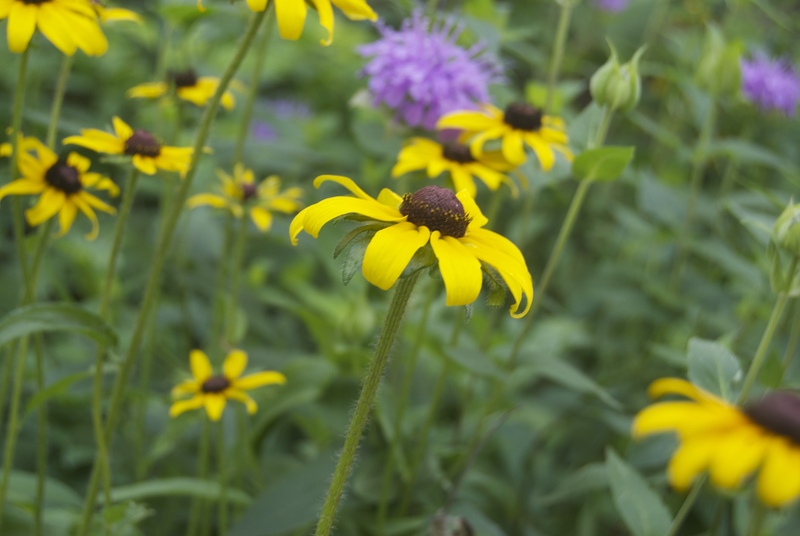 Brown-eyed Susans nodded gracefully among the wild bergamot and swamp milkweed. Flowers that I had forgotten I’d planted sprung up, like turtleheads and culver’s root. 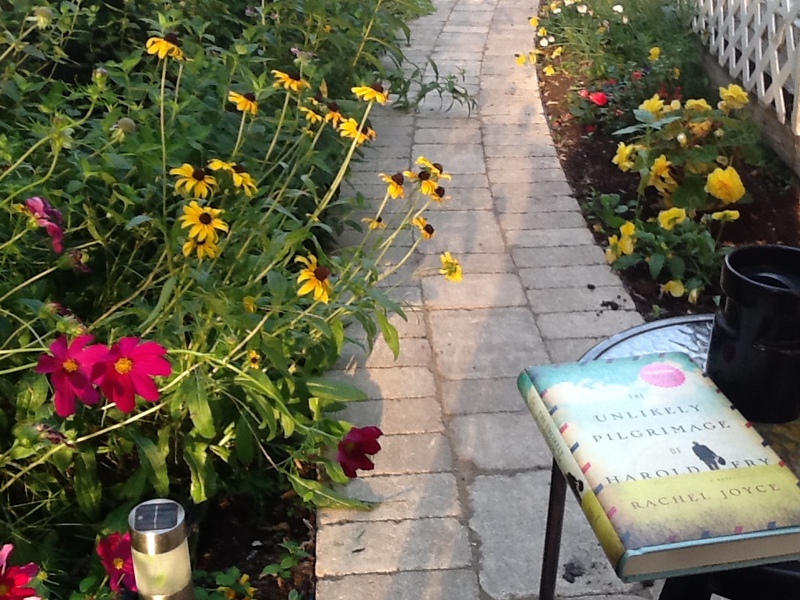 I took to bringing my chair out and parking it on our new stone path with coffee and a book just so I could be among the beauty of it all. I don’t know what got more attention, the novel I was reading or how I kept gazing up at the beauty, noticing the many bees among the bergamot and delighting in the smells. It became a quiet time that I looked forward to each day after supper. It seemed graced with a peaceful silence that led me back to prayers of hope for the future. I have a community garden with beans and still have a spot for beloved summer tomatoes, but other than providing pollen for bees and host plants for egg laying butterflies, there is no purpose to this beauty. I remembered seeing a documentary once about flowers that bloom only once a year in the desert, far from any human eyes. I began to wonder at the purpose of all this crazy beauty. It was like God has figured out a grand conspiracy to paint the world with elegance, desiring only to draw the heart toward silence, awakening in us our yearning, once again, to be united. Considering all the division on this torn earth, it’s a great idea. As I wasted time pondering the flowers, I had the sense that God was listening to the deepest questions of my heart, questions I’d even forgotten I was asking. Peace that I’d forgotten I longed for. Nothing grand was being accomplished here. My heart is crooked and broken in many ways that I am hopeless at mending, but God somehow touched it in the garden, coaxing it open despite myself. This is mercy. This is grace. Now it’s late August. The bergamot is finally done and the last of the brown eyed susans are withered. But all I have to do is close my eyes and remember. Even in the dead of winter when it’s all buried under that Winnipeg snow, I know God will keep listening, mending the world with a vibrant grace.